Worktop height adjustment from 650mm-900m. Frames are epoxy powder coated steel in Grey RAL7045. The worktop is 25mm White Laminated particle board with impact resistant edging. 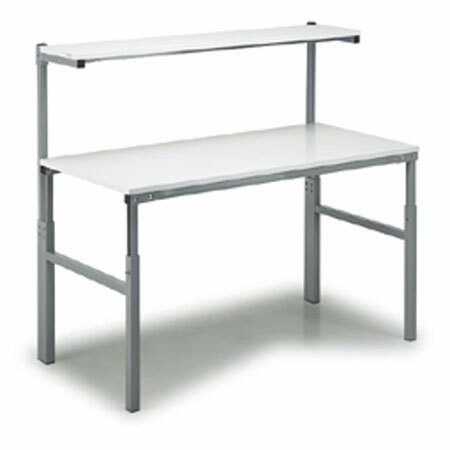 Workbench with upright profiles and a laminate shelf, depth 310mm, height adjustment from 1080mm - 1550mm. please allow up to 28 working days for delivery direct for the manufacturing plant in Finland.